If you are a physician or a hospital administrator, we would like you to consider KidneySolutions as your partner of choice for kidney disease, dialysis, or kidney transplantation care for your patients. 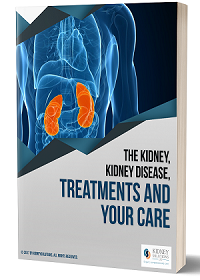 Our relationship model with other healthcare providers is that we at KidneySolutions completely focus in delivering the best kidney care for your patients and return your patient to you for management of their other medical issues. KidneySolutions is interested collaborating and working with evidence driven medical professionals and hospitals. With the use of its state of the art equipment and technology including electronic medical records and the use of best clinical practice, KidneySolutions will deliver on its mission and vision for patients and their families. We are actively seeking physician and provider partners to join with us as we expand our network of dialysis centers and deliver the highest quality care to a broader base of patients. We can structure a relationship that meets the immediate needs of your practice or hospital, and provide the flexibility to help you achieve your long-term goals of growing your practice. State your proposals for collaboration, where your practice is currently based, your current kidney care, kidney transplantation and dialysis capabilities, and the current patient size of your kidney disease practice. We will certainly get in touch with you. Are you a dialysis nurse with at least 3 years of dialysis experience interested in signing up for our part time dialysis nurse program? Contact us with your CV at info@kidney-solutions.com. Our clinical administrator will get in touch with you. Are you a dialysis technician with up to 2 years of experience working with central water treatment systems, hemodialysis machines, peritoneal dialysis equipment and water testing equipment? Contact us with your CV at info@kidney-solutions.com.